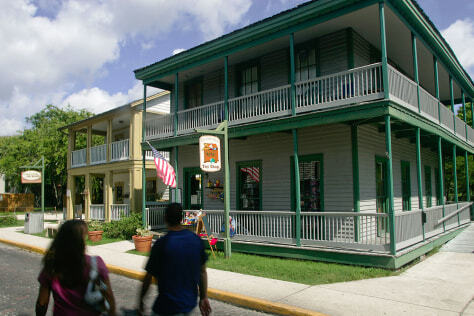 Tourists walk past The Cuna Street Toy Shop, right, and Knock on Wood, two historic buildings on Cuna Street in the historic section of St. Augustine, Fla. The two shops are housed in two of dozens of historic buildings the University of Florida will be maintaining for the City of St. Augustine, Fla. The maintenance and upkeep of the building has become too expensive for the nation's oldest city.